I hear it all the time. SO many entrepreneurs struggle to market their goods and services, fearing they’ll come across as pushy, salesy, or slimy. But the truth is, you likely got into this line of work because you have a deeper impact you’re looking to make in the world and you can’t do that if no one knows you exist. In this episode we chat about how not all marketing strategies are perfect for you and how to find the ONE that will boost your business the MOST based on your personality type. Together we shift your mindset around how it feels to get visible and market your business in a feel-good way. Brit’s commitment NOT to run a business that feels draining or uninspiring. How honing in on a marketing strategy that works for your personality type can help you market in a way that feels good to you. How to shift your mindset so you can start showing up as your true self in your marketing and give yourself permission to show up as the person you were meant to be. Letting go of the strategies that were never meant for you and trusting that the RIGHT people will be attracted to you and your business. How personality assessments can help you to become more self-aware and start making better decisions for you. Amanda’s ESTJ personality → “The Executive” and what that means for her marketing strategy. Brit’s ENFJ personality → “The Protagonist” and how that ties in to her client work. How you can find your marketing personality type using the Myers-Briggs framework. 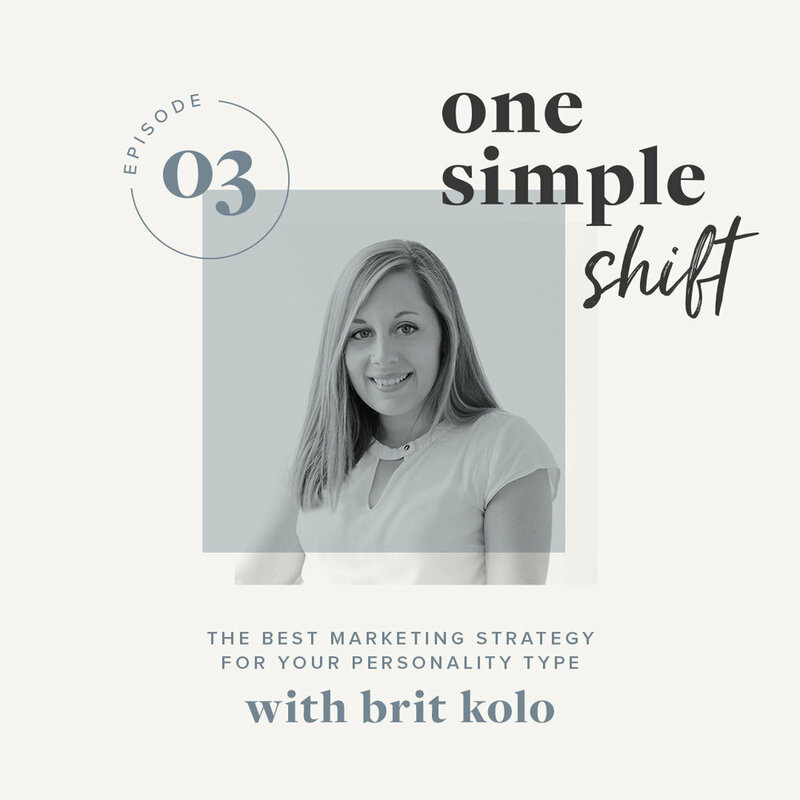 Brit Kolo is the Creator of the Marketing Personality Type Framework at MarketingPersonalities.com. Through her framework, designed to match you with your best marketing strategy based on your Myers-Briggs Personality Type, she’s here to shake up your approach to marketing and inspire you to grow your business in a feel-good way. Meet Brit and get ready to go deep, find your true self, and grow that business of yours WITHOUT feeling fake and salesy at MarketingPersonalities.com.